Relax in your ultra contemporary studio concept guestroom with a wealth of amenities, including broadband internet access (chargeable) and complimentary Wi-Fi, 42” LCD TV, cable TV with multiple channels and interactive TV (IPTV), Interactive Phone (IP) with IDD access, individually controlled air-conditioning, work desk, in-room safe, mini bar, tea & coffee making facilities, hair dryer, iron & ironing board, bathrobe, slippers, laundry and dry cleaning service. The stylish Park Room features a queen size bed perfect for couples looking for a getaway. With its open-concept design and sleek furnishing, Park Room offers guests a cosy, contemporary accommodation option with all the comforts of a well-appointed room. The stylish Park Room features a queen size bed suitable for couples looking for a home away from home getaway. 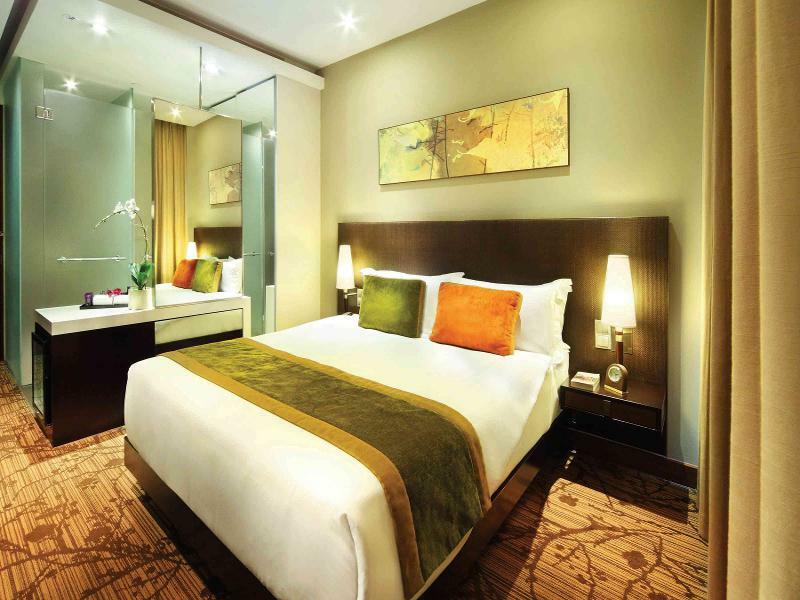 Park Twin Room features two single beds, the ideal option when travelling with friends or family. With its open-concept design and sleek furnishing, Park Twin Room offers guests a cosy, contemporary accommodation option with all the comfort of a well-appointed room. 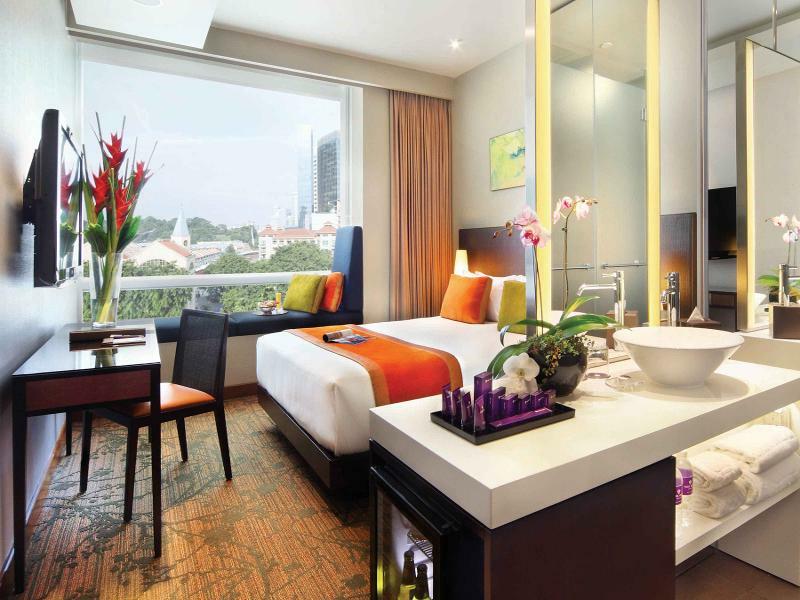 The chic Park Twin Room features two single beds perfect for travelling friends or family. 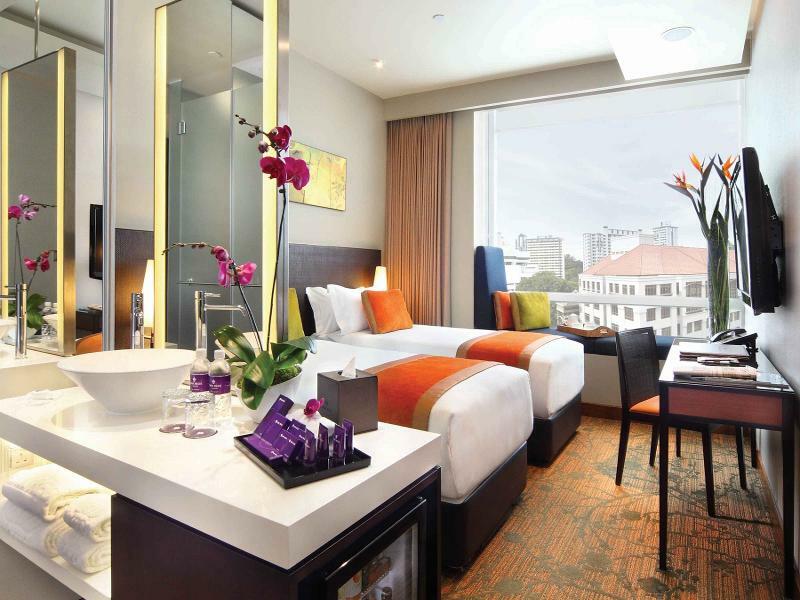 A tranquil oasis in the city featuring scenic views of Clarke Quay. Overlooking the hotel’s signature swimming pool with cascading waterfall and picturesque views of Clarke Quay, Merchant room allows guests a tranquil oasis in the heart of the city. The stylish Merchant Room offers complete comfort with its open-concept design and sleek furnishing. Quay Room features a private and exclusive patio area perfect for unwinding after a long day. Quay Room features a private and exclusive patio, with deck chairs and table, where guests can unwind and enjoy the rhythmic sounds of the cascading waterfall in a city resort setting. 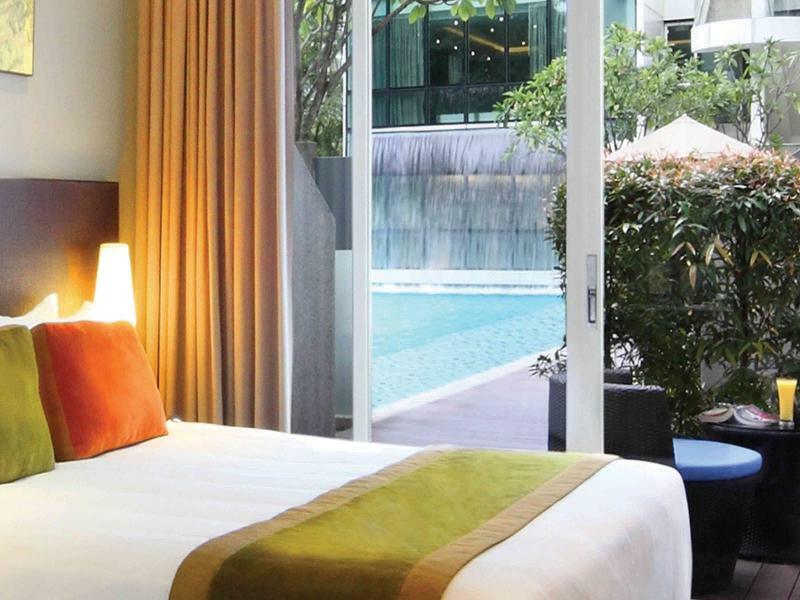 With just steps away from the swimming pool, Quay Room is the ideal room for a perfect relaxation. A spacious family room with spectacular 180° views of the city skyline. 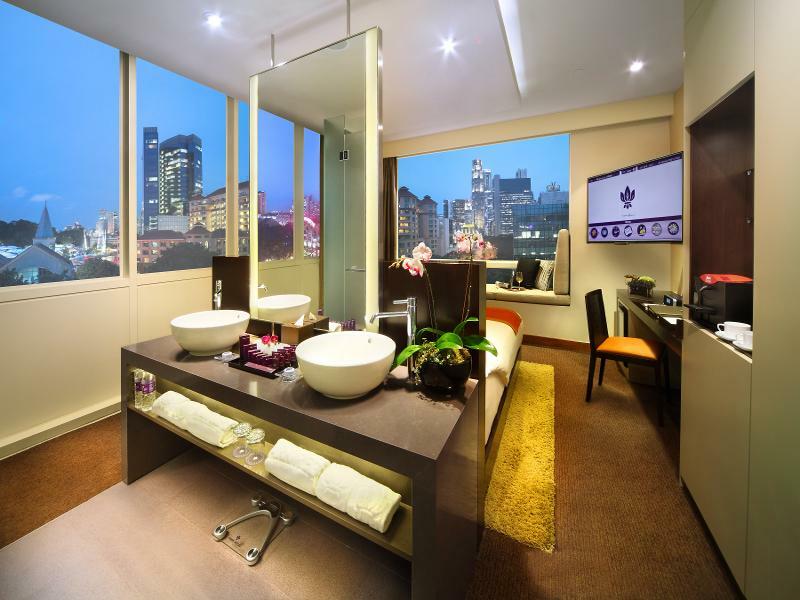 Regis Rooms are contemporary designed, allowing natural day light to stream in as guests luxuriate in bliss while indulging in the spectacular 180° views of the city skyline and the swimming pool. Regis Room offers an unrivalled comfort for travelling families with its spacious layout, allowing an additional rollout bed, a king size bed and a separate dining area with selected Regis Rooms offering a balcony.